Batti Gul Meter Chalu is a hero’s journey in his fight for social justice. Set in Uttarakhand, this social drama is a common man’s fight against the corrupt system, especially the company supplying electricity to the State. Sushil Kumar Pant (Shahid Kapoor) is a crooked lawyer who makes his money by blackmailing businessmen whose products don’t match their advertising claims. And he is happy with his lifestyle. But when his best friend Sundar Mohan Tripathi (Divyendu Sharma), a budding entrepreneur who has a printing press in an industrial zone on the outskirts of the town, is driven to the brink after receiving an inflated electricity bill, Sushil fights a legal battle against the company. How he delivers justice to his friend, forms the crux of the tale. Crafted with good intentions and strong, hard-hitting messages to the requisite people of the society, the plot takes a circuitous route that makes its 175 minutes of run-time, tedious for viewing. There is obviously a story in the narrative, but the director does not make it compelling. He has gone overboard with gimmicks developing the characters. And by doing so, the first half of the film lacks focus or purpose. Each scene is lengthy, overtly dramatised and pretentious with talk-heavy exposition. Also, the Kumaoni dialect after a while becomes a sore point. The second half does pick up momentum with interesting inciting moments. But it is the courtroom drama that is the focus of the act. If only court cases were as simple or as smooth as projected in “Batti Gul Meter Chalu”, the acceptance of this film would have been a totally different ball-game. Also, the frivolous direction of the courtroom scenes takes away the seriousness of the said messages. On the performance front, Shahid Kapoor is one of the most robust and powerful actors in the film. He emotes exquisitely with his delicate facial expressions. But at times, like a typical Hindi film hero, he goes over-the-top, making his entire exercise appear staged. Divyendu as Sushil’s “timid” and “bust friend”, is sincere with his efforts and is subtle as a second fiddle. 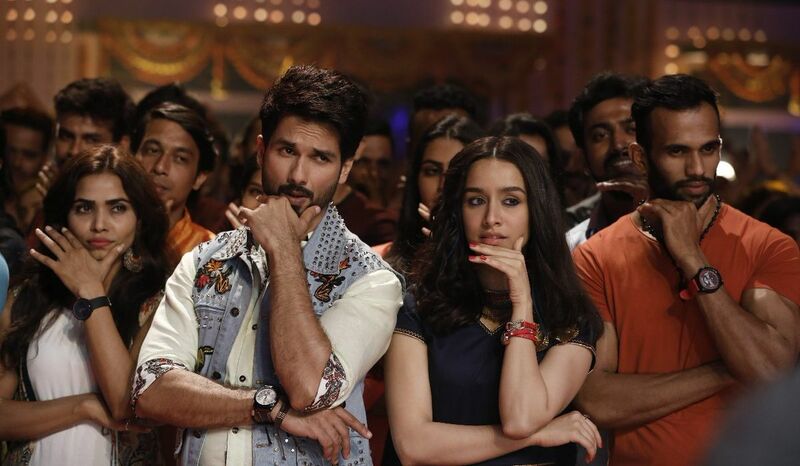 Shraddha Kapoor as the fun-loving and bubbly Lalita Nautiyal aka Naughty offers a romantic angle to the narrative as the love interest of both friends. She is confident and earnest but unfortunately her on-screen chemistry with both, Shahid and Divyendu, is zilch. Yami Gautam as Gulnar, the corporate lawyer of the electricity company is dramatic and over-the-top. With her quirky and bored demeanour, Sushmita Mukherjee makes her character of the Judge, funny. On the visual front, the director uses black and white scenes to kick off the narrative, as an artistic leitmotif, to distinguish the story from the editorial. Here in a bus journey, two co-passengers — Vikas and Kalyan — are used as ‘sutradhars’ to propel the narrative forward. These double-entendre names and other poetic applications make this satire stimulating and amusing. Overall, despite excellent production values, the film does not cut the mark of distinction.